Two weeks ago tech companies and press gathered at the Mobile World Congress in Barcelona to unveil the future of mobile. While of course the emphasis was on smartphones and new flagship models, there was a lot of other stuff to see as well. For your gadget thirst, head over to Wired where they lined up the 16 coolest gadgets they saw in Barcelona. 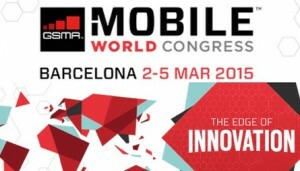 In this post I focus on 3 trends from this year’s MWC. As many (including myself) presented 2014 as the breakthrough year for wearables, the reality is that it wasn’t. That is why wearables were still front and centre at MWC. MWC saw a variety of both new wearables as well as updated versions ofthe Samsung Gear (the tech company released three new products: the Gear 2, the Gear 2 Neo and the Gear Fit), Pebble Time Steel, the Huawei smartwatch and fitness tracker, and the LG Watch Urbane, among others. Arguably the reason why wearables did not quite reached a large userbase is that most devices not only lack functionality, but also look clunky. New products unveiled at this year’s MWC looked less like hunks of metal scaled down to wrist-size, and more like fashionable accessories that you’d actually want to wear. Read this post by Johan Bjärnerydon how 2015 will be the year of the breakthrough for wearables. I also still believe in a future for wearables devices. Advances in inertial sensors, touch and in-air gesture control, gaze control for eyeglasses, speech recognition or natural language processing and more advanced, predictive data analytics will bring new applications and user contexts. As I wrote last week, because of Moore’s Law, accompanied by the rapid improvement of processors, screens, and accelerometers, driven by the smartphone boom — VR is finally at a tipping point. Both HTC and Samsung unveiled impressive virtual reality technologies at this year’s MWC. The HTC Re Vive, a VR headset developed in partnership with Valve, includes sensor technologies that allow the device to track users’ movements beyond simple turns of the head. It actually tracks the wearer’s complete surrounding environment and has the capability to map out spaces/rooms the user is navigating through. Here’s the promo video. Right now, VR devices fall into three categories: stand-alone, mobile-reliant (headsets like Samsung’s Gear VR and Google Cardboard, which connect to phones), and tethered (like Oculus Rift, which connects to some sort of external device). According to ABI Research, shipments of virtual reality and augmented reality devices will explode, from 3 million in 2015 to 55 million in 2020. Security breaches are increasingly shifting to mobile devices. A company called Silent Circle aims to address the issue of a more secure mobile experience with their Blackphone product. This phone uses encryption and advanced software as well as a secure app system called Silent Suite and Silent Meeting. The products are intended for both corporate as well as personal use. The company announced a Blackphone 2 and a tablet at the event. Another great challenge for mobile security is the current shift to using your smartphone (with Apple Pay for instance) to pay for stuff. So far, smartphone manufacturers have started using fingerprint touch sensors to secure sensitive personal and financial information. Now Qualcomm released its own Sense ID fingerprint technology. Qualcomm’s Sense ID registers details in three dimensions and adds details like fingerprint ridges and sweat pores to make scanning more secure. The scanner can be embedded into steel, glass or aluminum and will be available in the second half of 2015. This article was previously published in SogetiLabs. Thomas van Manen is an analyst at VINT. Thomas is working of VINT’s Design to Disrupt research project dealing with the accelerating speed of innovation and the design principles of disruption. Thomas is also working on designing mobile experiences for wearables and the internet of things. You can read more about Internet of Things in our web. Introduce tu mail para seguir ITBlogSogeti y recibir las notificaciones de las nuevas publicaciones en tu buzón de correo.